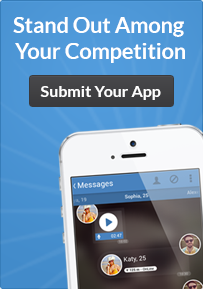 Please share with us the backstory of what motivated you to create this app. Today's travel experiences are limited and do not stretch from the beginning to the end of a customer's true travel experience. Most of them exist to simply book a flight, hotel, or rental car at the destination. We believe there is a huge opportunity for Airbus in this very shallow and confined travel experience. The A380 delivers a pioneering flying experience. This experience should not be confined to the aircraft alone. What features do you hope to roll out to your app in the future? Milkinside team have big plans with Airbus to extend functionality with AR navigation inside airports as well as a more holistic approach to traveling in general; it's an area that really has not been given the attention from an experience perspective. It's also complicated because there are so many players in this area, but with a partner like Airbus, we are excited to overcome that challenge. What has been the most rewarding aspect of the creation of this app? The challenge was to design more than an app. We had to design an experience that spanned before and after the flight experience. The experience had to consider everything that people would feel, want to see, and want to know during those times, and simplify that information into something simple, elegant and meaningful. What is the coolest or most innovative feature of your app? Using virtual, and augmented reality combined with service design thinking, the iflyA380 app is poised to enhance an already amazing A380 flight experience. What surprised you most in your journey to create this app? Translating design to development is always a challenge, but in this journey we were collaborating with great developers who were able to translate with a high degree of accuracy and quality the original designs. It was a big step forward for us, because it was the first time that we used an actual 3D model in real time as opposed to using pre-rendered sequences. Which other mobile apps or technology have inspired you? I am truly inspired by the possibilities of platforms like ubiquity6 which allowed us to scan the environment using any mobile camera and share persistent AR experiences with other people. I genuinely believe this will open new horizons to explore world-changing mobile apps and services. Do you have any recommendations or advice for others wanting to create a mobile app? Do not limit your creativity with current development limitations. Today's technology allows us to create almost anything that we can imagine. Find good developers to partner with, those who care about giving the best experiences. How did you decide which platforms to release your app on and do you plan on releasing your app to other platforms? The choice revolved around which platform was able to offer us the AR capabilities we wanted to push. AR Kit on iOS was more develop4ed that it's Android equivalent at the moment, and as such, we decided to launch on iOS initially. How is your app different than the rest of the market? Which unique need does it fill? The iflyA380 app allows the user to discover, book and explore their journey in an immersive way. It is more than an app, and instead becomes a companion for your journey aboard a pioneering aircraft the A380.